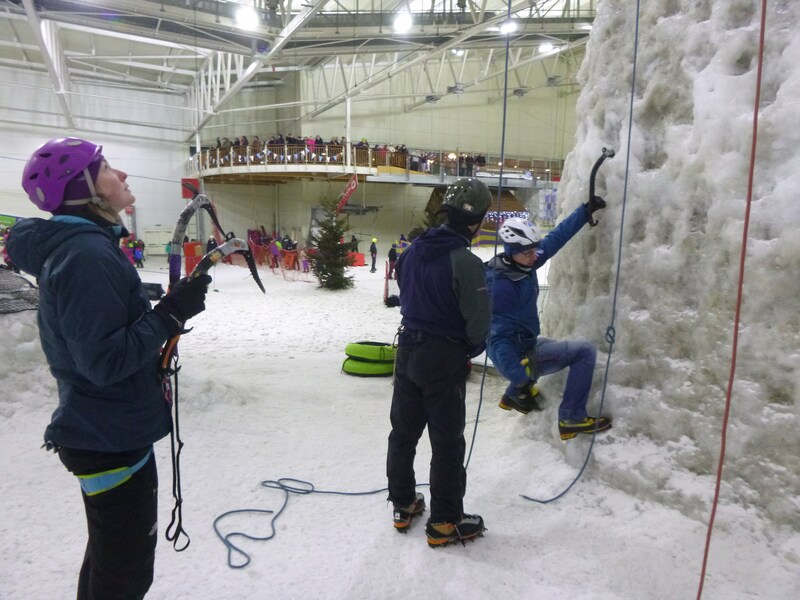 After a coaching session in Glasgow yesterday Paul, Kate and Jenny were keen to get outside and put some of their new techniques to the test. Lou decided to take Jenny and Kate to the Buachialle whilst I was keen to take Paul to Ben Nevis. 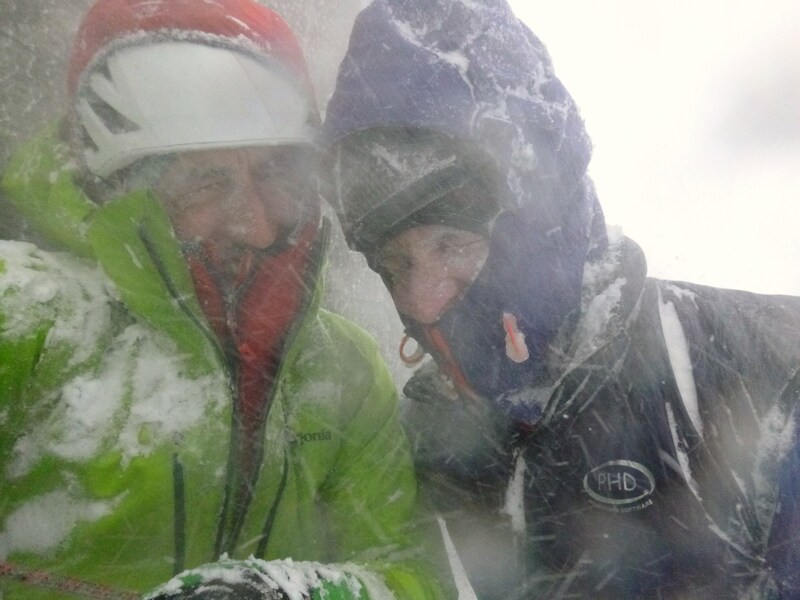 It was a pretty wet and windy start with strong westerly winds I wasn’t quite sure what we would find on the North Face today. The fact that we were the only vehicle in the carpark and we didnt see anyone on the walk in had me thinking about my venue choice and what was going to be achievable. 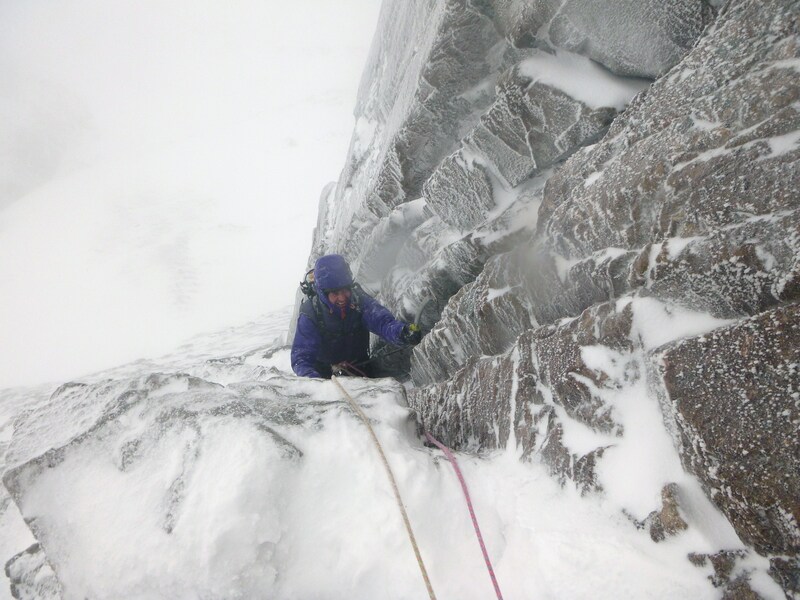 Once at the CIC Hut it was clear there was allot of snow being blown around, going high wasnt an option so we made a beeline for Jacknife (V,6) on the Douglas Boulder. 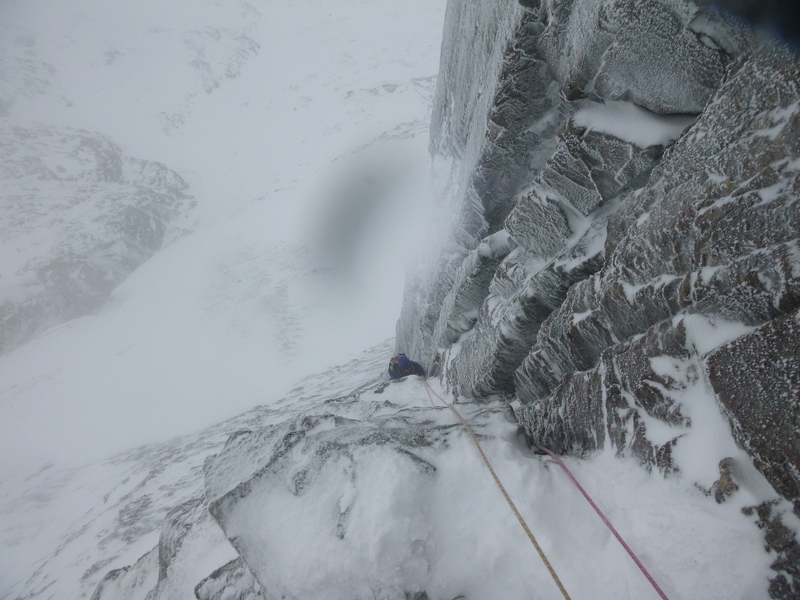 The route was chocked with ice which made gear hard won but the climbing was really good and secure. 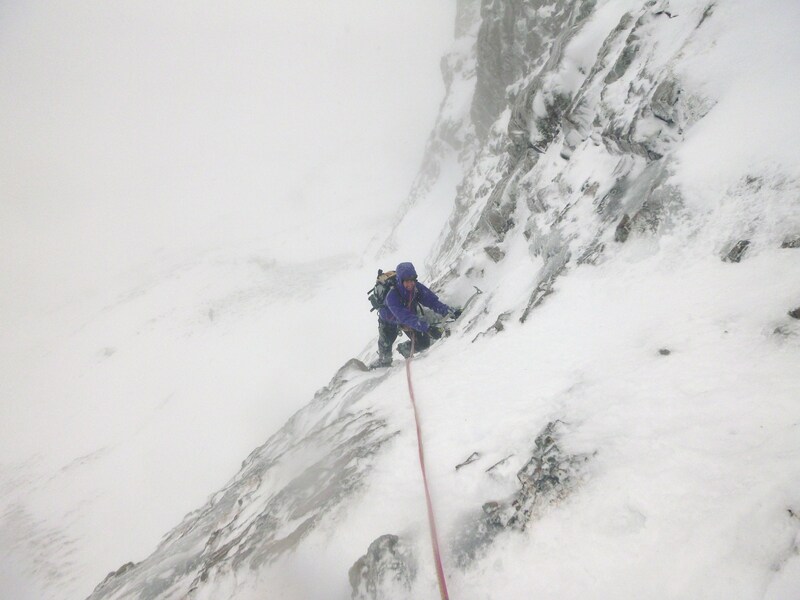 We were soon two pitches up and downclimbing the start of SW Ridge before heading back to the hut for a spot of lunch. 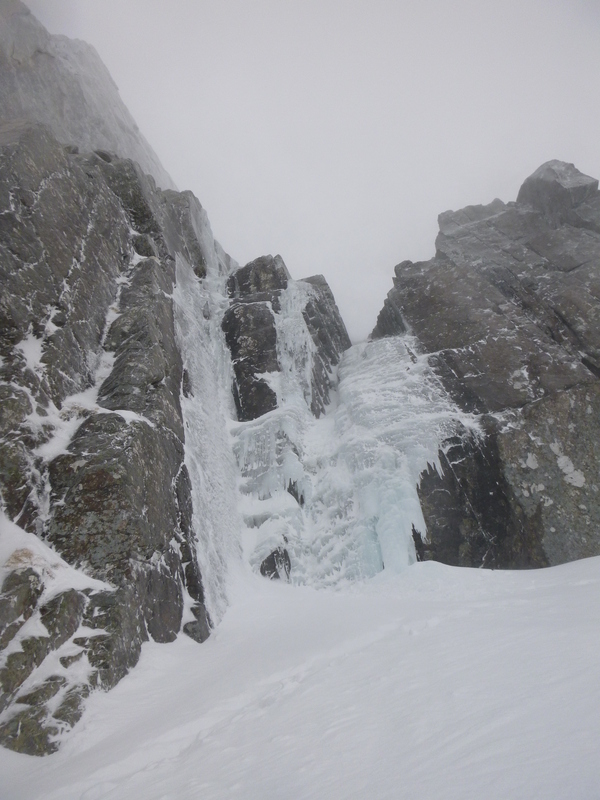 I noticed the main CIC Cascade was looking fat but on closer inspection it was going to be quite dangerous to lead as the ice was brittle and thin in places. 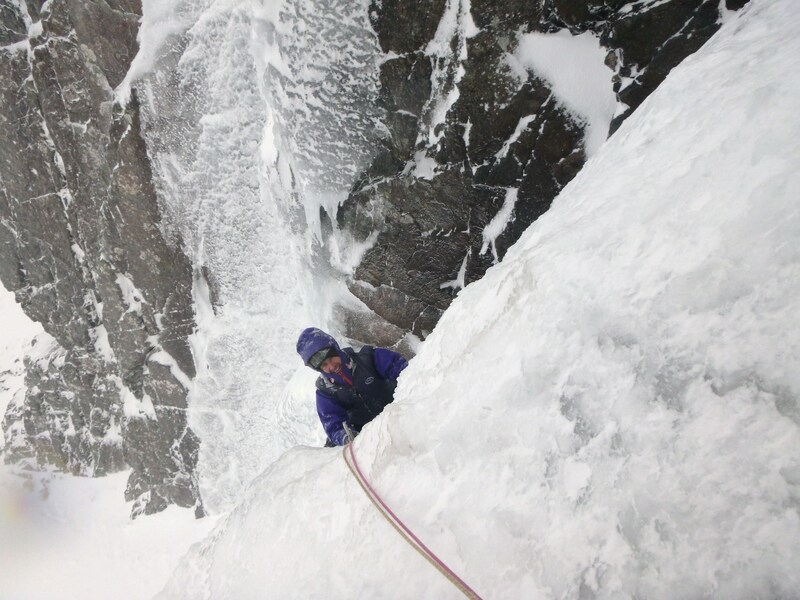 I suggested we climb the lower left hand cascade then top rope the main icefall but after reaching the top of the left hand route Paul was feeling a little tired at the thought. 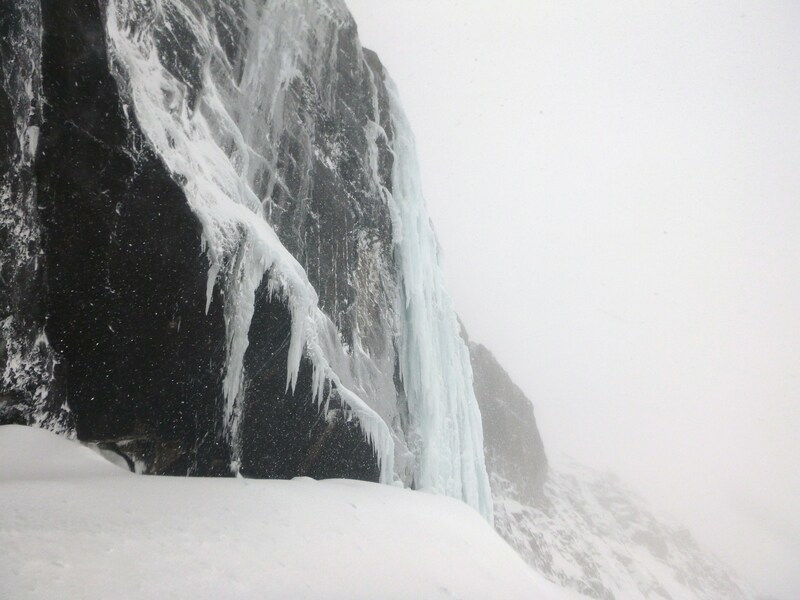 A quick jaunt over to a fat and superb 1st pitch of Waterfall Gully (IV,5) finished off the day nicely even if we did get buried under mountains of spindrift! 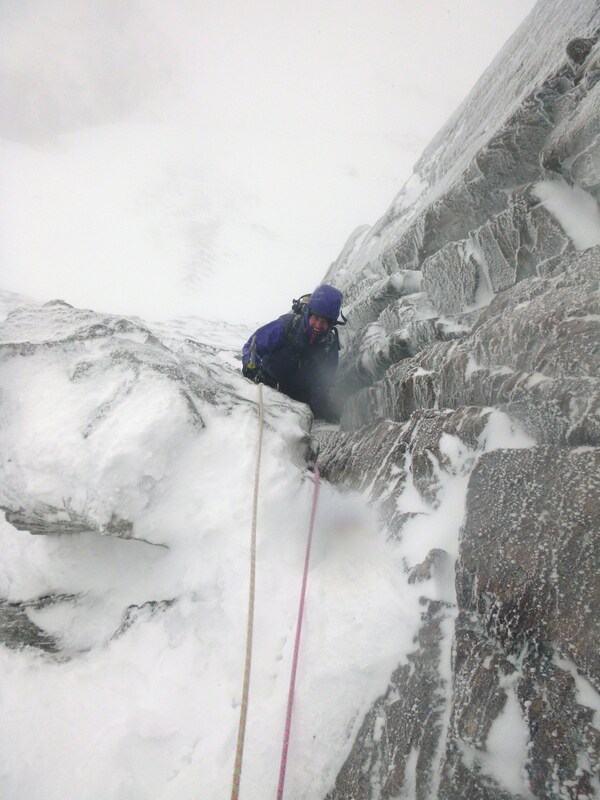 Its been a varied and great week working for Abacus Mountain Guides.